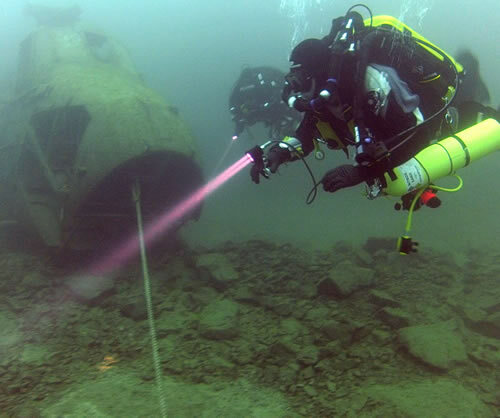 Welcome to DiveBritain, we are a recreational and technical dive training facility based in the south of England. DiveBritain aims to deliver the very best training to you, ensuring that you have the skills, ability and confidence to continue with your new skills safely while gaining that valuable experience. 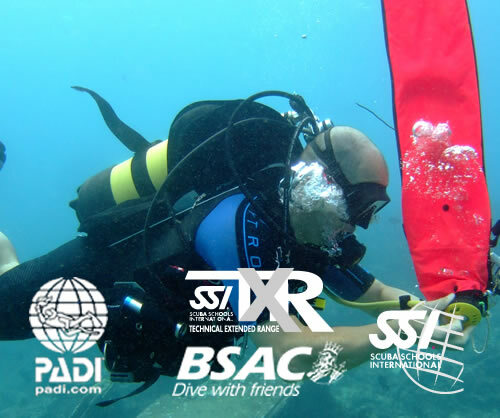 With over 20 years of diving experience, DiveBritain offers diver training to PADI, SSI and BSAC agency standards. "Awesome instructor, I still remember the dive we did on Eddiestone lighthouse and the j.e.l to finish my sport diver -happy days." Continue the adventure - where do you want to go next. Regardless of the level of training you currently have and your experience, continuing your diver education is fun. Want longer under water but not trained in decompression procedures? Then this is the course for you. 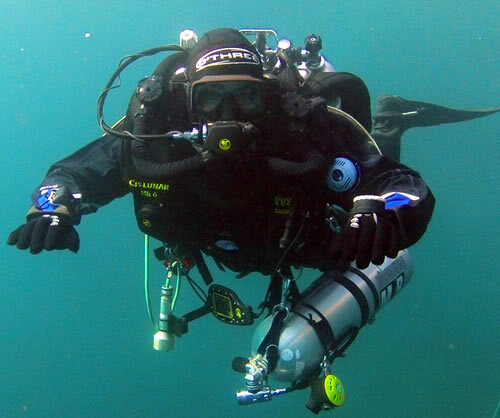 Learn to dive with a twinset, stage bottle for accelerated decompression, dive planning and a set of new skills and understanding that you can use on every dive. 45m Maximum depth, 30 minutes decompression and even a Helium - Nitrox mix to extend bottom times at depth but with a clear head. Divebritain's Intro to Tech course is a 2 day course which focuses on delivering a technical foundation tailored to you. 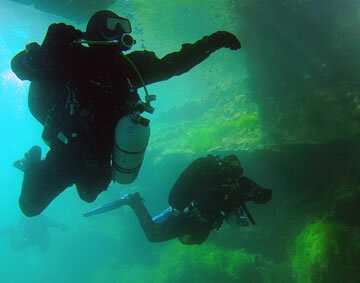 Technical twinset, wing and regulators can be provided if required, but bring your normal dive equipment and Dive suit. I would dive in a puddle if I could find one deep enough!! I learnt to dive in 1989 in Sharm el Sheikh at a time when Sharm had 2 hotels and a campsite; the Thistlegorm wreck lay hidden away since Jacque Cousteau had found it waiting for re-discovery in 1991 and being on the only dive boat at Ras Mohammed was a truly magical experience. The course was taught in German (which I speak) to the French CMAS diving system – I was hooked on my first decent below the waves. From ’89 to ’07 I mostly dived abroad in Europe and the Red Sea. Wanting to progress further I transferred my qualifications to the BSAC, completing my Dive Leader and instructor qualifications within a year. Since then have complete my PADI MSDT, SSI AOWI and SSI TXR, PADI TRIMIX instructor and IANTD Adv Rec Trimix and CCR instrutor ratings. I also hold about 15 specialty instructor rating. Recently I have formalised my Freediving, completing a SSI Freediving Instructor course with Freediving Training Director Nick Fazah. I have enjoyed a lucky position of leading and instructing on about 6 overseas expeditions each year.